Ironman world champion and Olympic silver medallist Michellie Jones says that the LeMond Revolution turbo trainer is the smoothest and most realistic trainer that he has used. 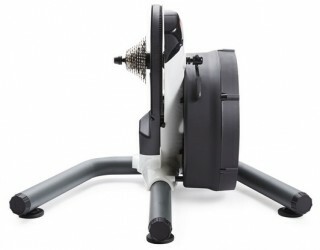 Using a large wind brake, the LeMond Revolution trainer is classed as a direct-drive trainer that offers progressive resistance. 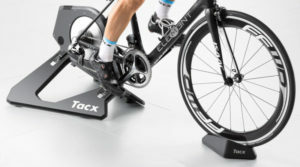 What this means is that as you pedal all of your energy is used to drive the oversized flywheel, which creates resistance and inertial forces comparable to riding outdoors. The renowned and highly respected cycling blogger DC Rainmaker says the LeMond Revolution is the only turbo trainer to have a real 'feel', meaning it is like riding on the open roads. 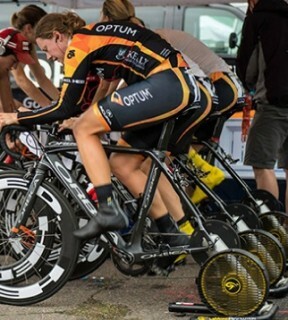 This trainer is the official trainer for the Garmin & Optum Professional Cycling Teams is endorsed by professional cyclists such as Jeremy Powers (see video below. Most turbo trainers have a braking system that pushes against the back wheel of your bike, and while these traditional braking systems offer many benefits they can have some drawbacks. For example the rear wheel wears faster than it does compared to riding on roads, and there can be slippage as you pedal. Also, with traditional turbo trainer resistance brakes you need to raise your back wheel off the ground, which in turn places your bike at an unrealistic angle, and often users buy a special raiser block for the front wheel to return the bike to a normal riding position. The LeMond is different, to use it you actually remove your rear wheel completely and you attach your frame directly to the axles of the Revolution trainer. 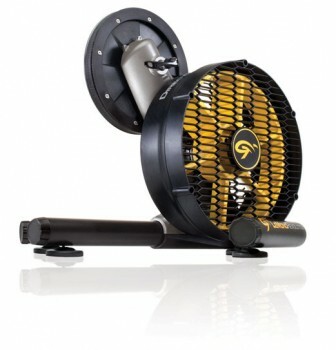 This eliminates all of the issues mentioned with traditional style turbo trainers. This being said the issues discussed are often minimal and easily overcome with modern turbo trainers, and having to remove your rear wheel may not be something that appeals to you. Also, users say that the LeMond trainer is very noisy (like most wind resistance brake trainers), so the environment where you will use this trainer should be taken into account.